This is the story of a boy who dreamt of rock stardom but grew up to be a football God. Fernando Torres is revered by players, coaches and managers, adored in his homeland and idolised by 42 million Liverpool fans across the world. 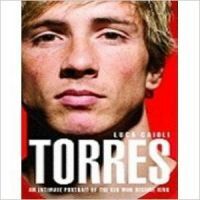 From his birth in Madrid's working-class Fuenlabrada district to his incredible 33-goal first season at Liverpool and his winning goal in the final of Euro 2008, renowned sports journalist Luca Caioli goes behind the scenes of Torres' life to find out what makes the new hero of Anfield tick - as well as kick. Using often exclusive material from interviews with Rafael Benitez, Vicente Del Bosque, Andres Iniesta, Kenny Dalglish, Fabio Capello and Torres himself, Caioli paints a dazzling personal portrait of one of the world's most exciting young footballers.